Le Club AccorHotels has launched a promotion for stays in Asia-Pacific that are paid by a MasterCard. You can get a free breakfast for two by booking and paying using MasterCard for stays until October 31, 2016. Note that the list of 500 participating properties can be found from the Terms and conditions at the end of this post. 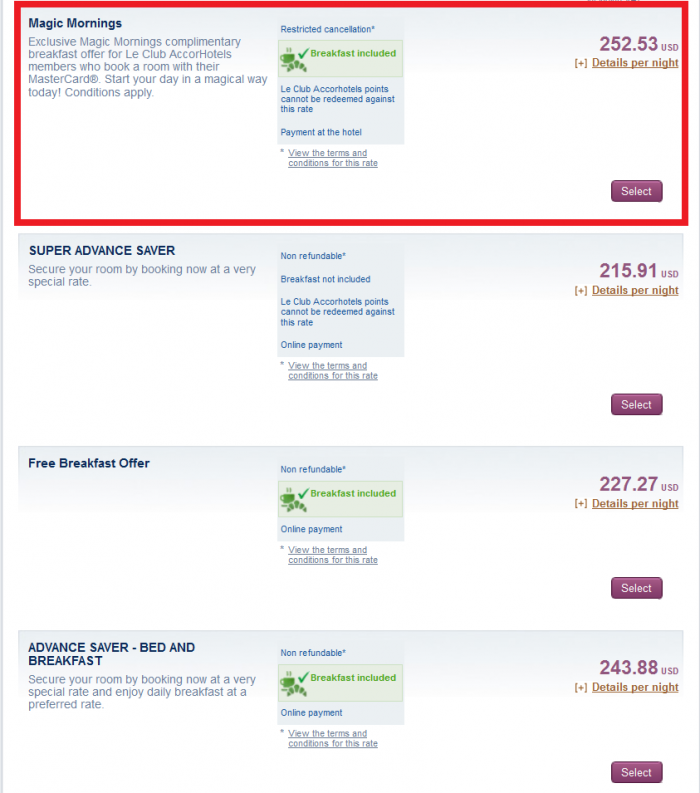 Seems that the breakfast inclusive rate is the same as the Best Flexible One. The benefit is that this is a pay at hotel rate that doesn’t require prepayment.